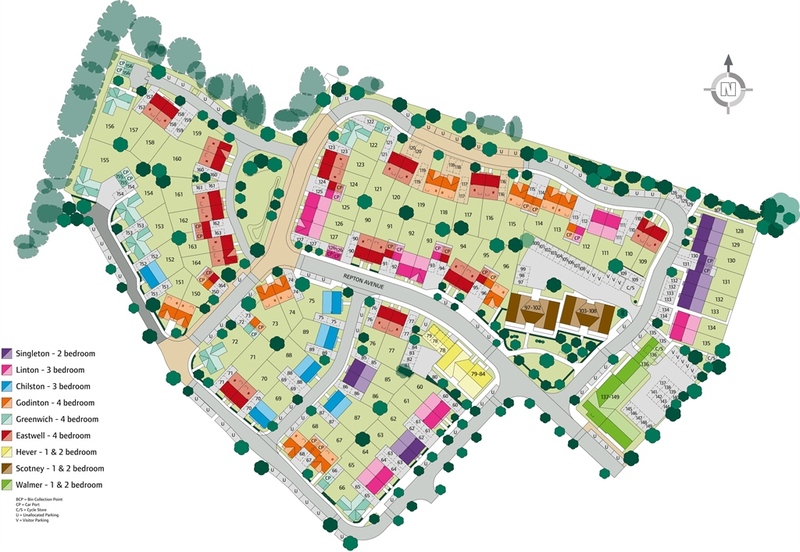 Located on the northern edge of Ashford in Kent, Manor Park is a collection of just 53 new homes in the popular Repton Park area. There's sure to be a home that suits you perfectly as there's a wide range of one and two bedroom apartments and two, three and four bedroom house styles. Ashford lies on the River Great Sour at the South Edge of the North Downs in Kent, the ‘Garden of England'. Less than 60 miles away from central London and just over 15 miles from Folkestone, Ashford is a bustling market town with plenty to offer. 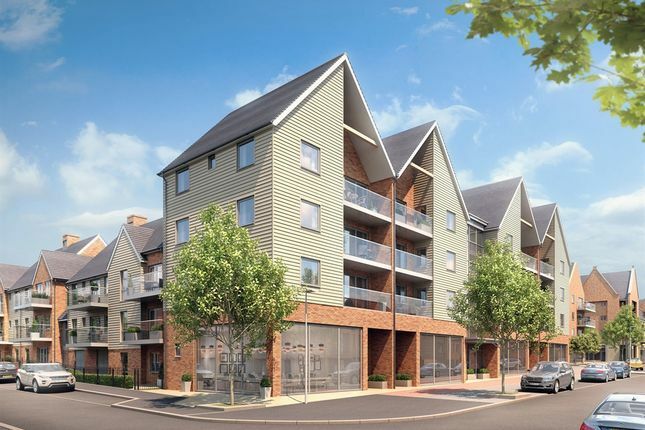 Today Ashford is a cosmopolitan hub which celebrates its history whilst embracing modern living. Living at Manor Park means you'll be able to enjoy all of the town's benefits including its excellent shopping centre, choice of well-respected schools, great leisure and sporting facilities and fantastic transport links. Ashford's mainline railway station provides regular train services to London, including the Javelin High Speed trains with a journey time of just 38 minutes. 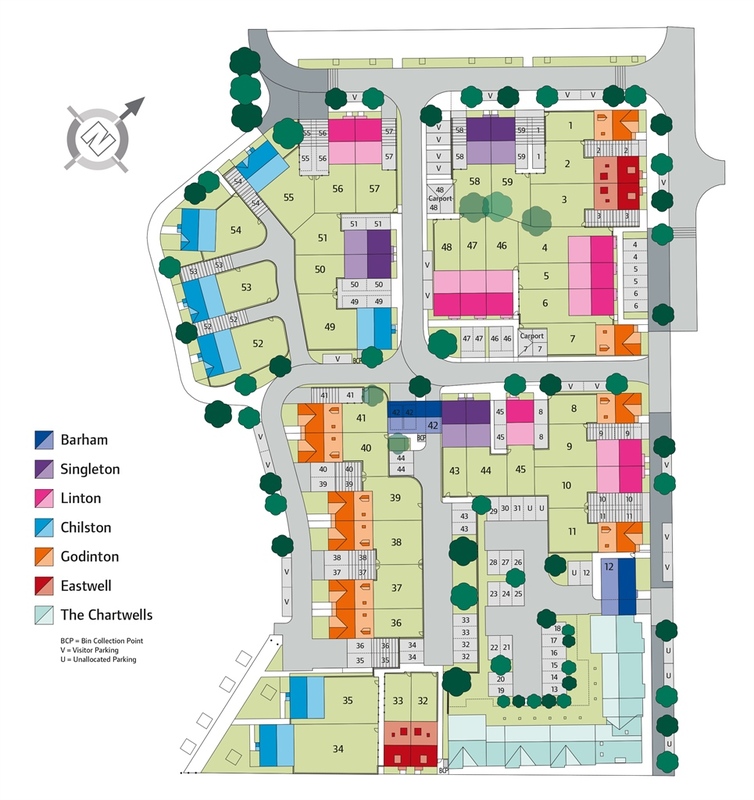 The development is also conveniently placed for access to the M20 motorway, the port of Dover, the Eurotunnel Terminal at Cheriton and Ashford International for Eurostar. Ashford is renowned for its pioneering spirit and the town's Green Corridor is a great example of this. It's a green space that runs right through the town and is a haven for people and wildlife. The Green Corridor is made up of parks, woodland, recreation grounds and other green spaces alongside the Great Stour and East Stour rivers that flow through Ashford. Well-used for walking and cycling the Local Nature Reserve is a breath of fresh air for Ashford's residents and visitors. Ashford draws shoppers from far and wide and it's easy to see why. The McArthur Glen designer outlet together with Ashford's Park Mall and County Square shopping centres mean you'll find a wide range of designer shops, high street stores and boutiques all within close proximity. There's also a market which is held three days a week on Lower High Street, with a farmers' market held monthly on the same site. Need some sustenance after a day at the shops? There's plenty of choice when it comes to cafés, bars and restaurants in the town or a quick journey to Eureka Leisure Park to the north of the town gives even more options for eateries and also boasts a 12-screen cinema gymnasium and hotel. Ashford has much to offer and this along with our expertly-designed Persimmon Homes means that Manor Park will be a great place to call home. Don't miss out arrange an appointment now. Tunnel is 16.5 miles via road or simply take the train directly from Ashford. Property descriptions and related information displayed on this page, with the exclusion of Running Costs data, are marketing materials provided by Persimmon - Manor Park, and do not constitute property particulars. Please contact Persimmon - Manor Park for full details and further information. The Running Costs data displayed on this page are provided by SmartNewHomes to give an indication of potential running costs based on various data sources. SmartNewHomes does not warrant or accept any responsibility for the accuracy or completeness of the property descriptions, related information or Running Costs data provided here.